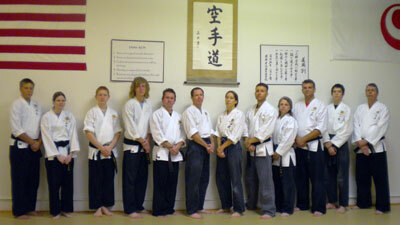 We teach karate in Mesa to kids and adults from the Gilbert, Tempe, Chandler, Mesa area. 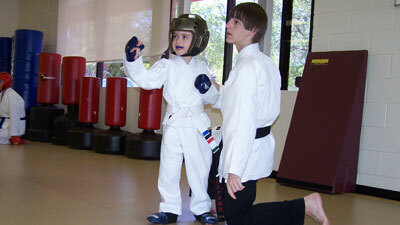 We have martial arts classes for ages three and up. 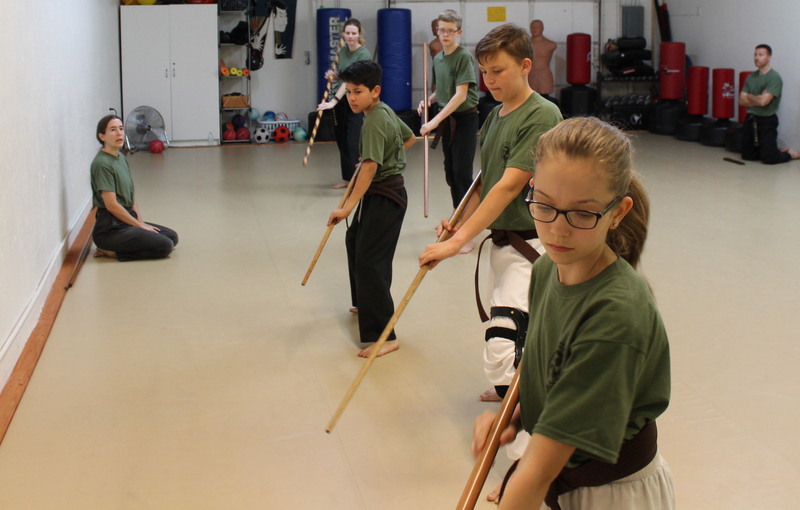 We offer weaponry for our intermediate students, with instructor approval. See our complete class list here. Our instructors are very experienced and patient. They enjoy sharing their knowledge. 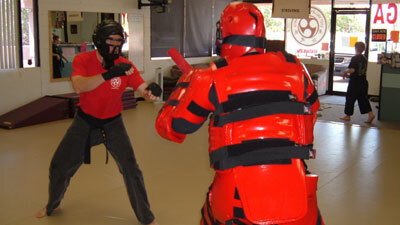 Our dojo provides a warm, friendly, safe atmosphere where you will feel welcome and comfortable. 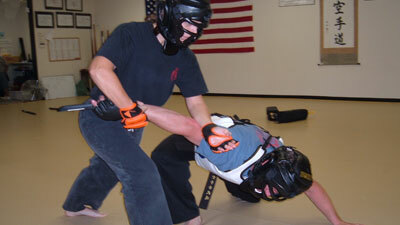 East Valley Martial Arts is a great place to learn! 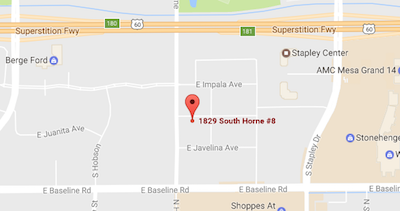 Our convenient location is only a short drive for students living in Mesa, Gilbert or Tempe. 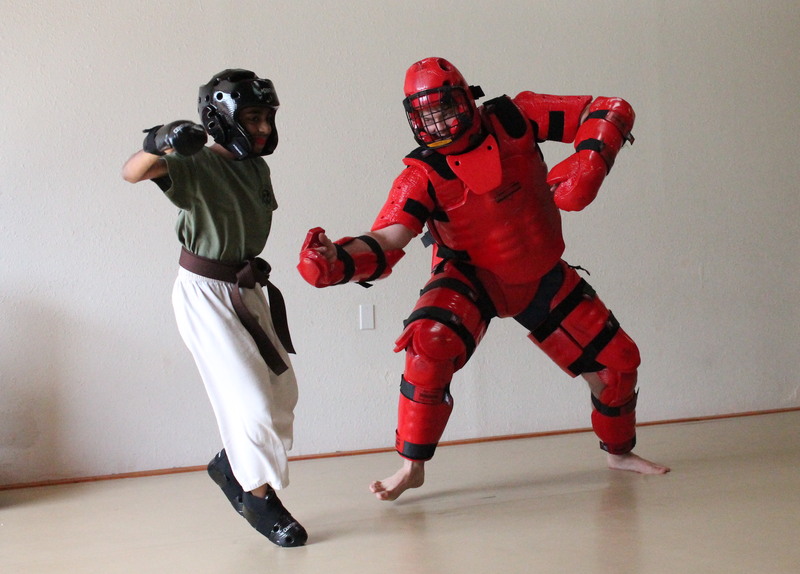 East Valley Martial Arts karate students study the "fist-way" of the Okinawan people. Karate originated on the island of Okinawa (now part of Japan) when it was an independent country. This small territory of farmers and fishermen developed Karate (with influences from China) to protect their families, themselves, and their belongings. The techniques have been passed down from teacher to student for hundreds of years. They were gifted to us, and now we offer you the opportunity to become part of the tradition. Try our no pressure Introductory Program. For only $25 you get one week of classes and a free uniform, just call to let us know when you can attend your first class. Click here for our Class Schedule. 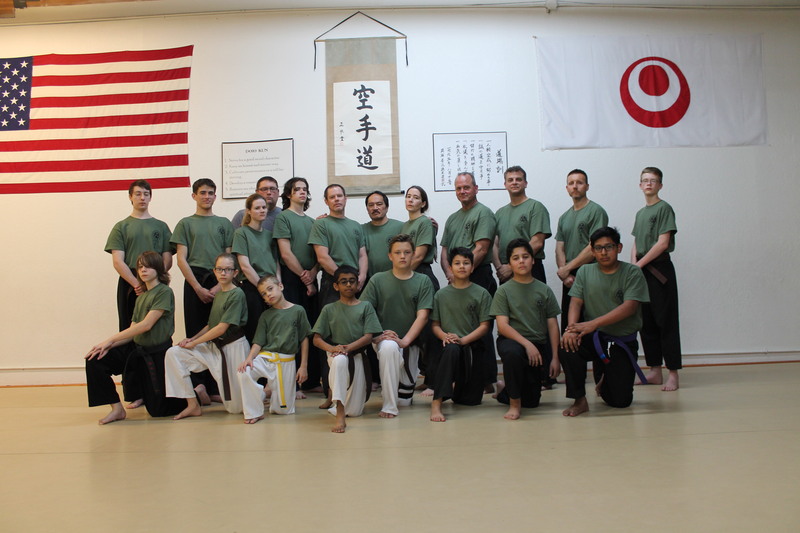 We are hosting our 12th annual Karate Spring Camp in six weeks, on March 1st and 2nd. We highly recommend this opportunity to all of our Adults Program and Kids Program students, as well as all Alliance members. 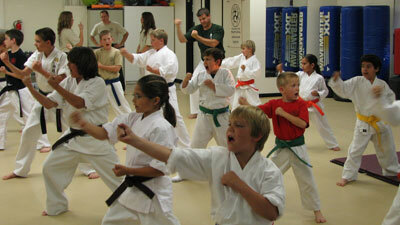 For those who are not students, Spring Camp is a great time to start or re-start karate! Come join us! 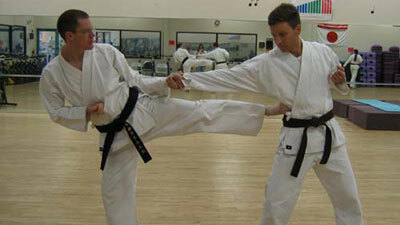 Why Learn Karate at East Valley Martial Arts? Honesty, Integrity, Respect, Perseverance, Self-Control and Discipline are just some of the lessons we strive to teach. Karate is a contact sport by nature, but through decades of experience we are able to provide a safe training environment. We are dedicated to seeing our karate students of all ages grow and achieve their goals. No long term contracts or upgrade programs, all costs are shown up front. Call or stop in and ask about our specials. 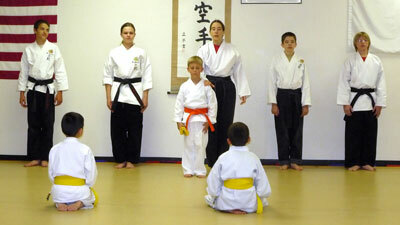 Our dojo is a great environment for kids, whether the they are training or just waiting for a family member. Karate is a great way to get a dynamic workout and have fun while learning life protection skills in a supportive group setting. Jenifer teaches and lives by her dojo's values. She is seriously focused on becoming a positive influence on her students, whether young or older. She strives to especially inspire youthful members to become more aware of their own self-care abilities, in order to lead the life they dare to dream, and can aspire to, by applying the dojo's values and teachings in their lives. The art is traditional, the technique is effective, and the people are real. The atmosphere and the people are inviting and it shows - there are 6 year olds and 60 year olds on the floor at the same time some nights! Self defense, weaponry, and character are all apart of the training. There's no one single reason I've been a student here for over 13 years, but rather many that in total make EVMA such a great experience... Bushido!! This school is fantastic. The teachers are really dedicated, compassionate and understanding of people's needs. They also organize lots of fun events to build connections and form an excellent support group. Recommended!! 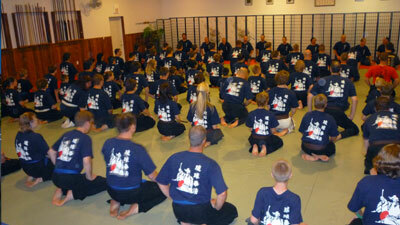 This is a Dojo that respects and practices traditional values. The highly trained instructors provide well disciplined and consistent training in a "family oriented" environment which enables a strongly structured learning experience. Amazing Dojo, great instruction, great atmosphere for all ages. Spend an hour with anyone from this dojo and you will not want to leave. Stop by or call the dojo and mention the following special to receive the discount, or click below to purchase online. Remember to bring in the receipt ..and this application for students under 18 or this application for adults to get started right away.